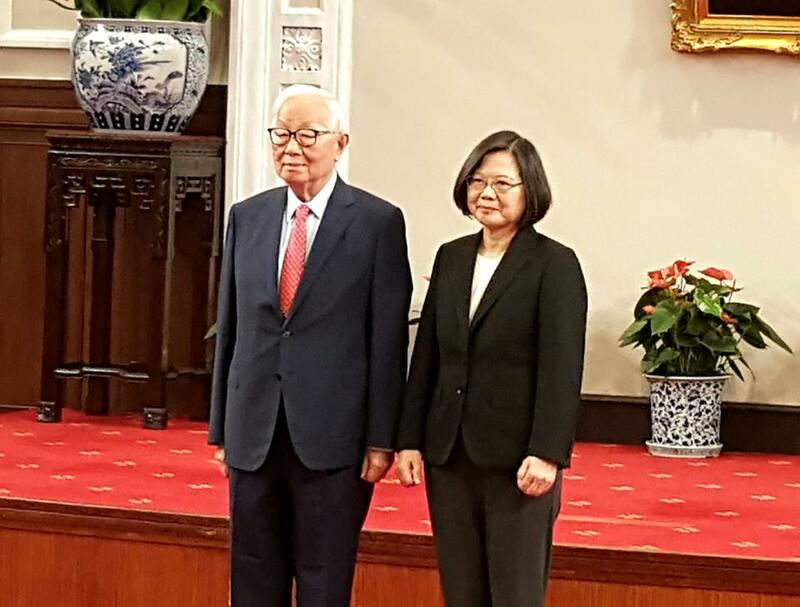 President Tsai Ing-wen has asked Morris Chang, the retired founder of chipmaker TSMC, to represent her at this year’s Asia Pacific Economic Cooperation (APEC) summit meeting in Papua New Guinea next week. The summit will be held from November 12 to 18. Tsai said Chang is a suitable choice as the theme of this year’s APEC is “Harnessing Inclusive Opportunities, Embracing the Digital Future.” She said Chang has made tremendous contributions to Taiwan’s tech industry and is a well-respected figure internationally. Back in 2006, Chang attended that year’s APEC summit in Vietnam, representing then-president Chen Shui-bian.